This last weekend I was sorting through my latest holiday beer purchases deciding which ones would be drunk over the holidays, and which ones were to be shelved away until a future yet to be determined. It dawned on me that I should discuss my cellaring madness. Our wine friends have been doing this for years to great acclaim and success. Guess what, beer can do it to. I’d like to share how I came to this, why I do it now, and how I go about it and what the pros recommend. Three things got me into aging beer; one is my never ending desire to try new things, particularly beers. As you may have picked up as a reader of this blog I love beer a lot, it makes me happy and I like to talk about it. At the same time I also have a weird little completionist quirk. I want to try, at least once, every beer I see. This is clearly impossible, but I’m ok with it. I walk into a store, see brews I have never tried and buy them. Sometimes I get multiple different brews. Lather, rinse, repeat. The second factor frankly is that my spendable income increased over the last decade. More purchasing power lets me buy more beer. Combine that with my little desire to trying everything means that I usually overbuy. It’s incredibly difficult to go into a beer isle and walk out with only one thing. Sometimes the selection available is overwhelming to me. But let us get back on topic, simply put, my supply overruns my demand meaning I have to find homes for the excess. The third is once again another confession on my part. It involves a bottle of 2001 Sierra Nevada Bigfoot Barleywine. A decade ago, while living in Stevens Point, I spied a sixer of it in JR’s, my local bottle shop at the time. I jumped right on it and bought it with my usual enthusiasm. It was everything a barleywine should be but I couldn’t stand it. Originally I argued the beer had skunked out, but the truth of the matter was at that time I was not smart enough or experienced enough to enjoy what I was drinking. When Rob informed me of Chris’ discovery I was a bit shocked, one that the bottle had survived that long in Rob’s fridge, (He was developing and refining his tastes for beer diversity over the years and has an unquenchable thirst) and two what an idiot I was for never taking another chance. 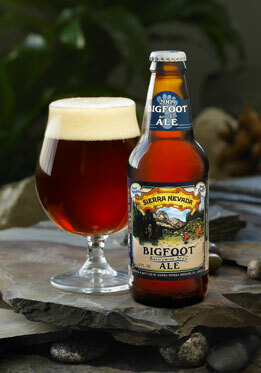 Eight years from the time the Bigfoot was unintentionally laid down not only had the beer aged and improved but so had I. Now I was ready for the beer but the beer was gone. Disappointed but not dismayed that experience lent itself to the third factor. I give beer second chances. Barleywine, Stout, Belgian Ales, pretty much any strong malty ale has potential to grow well in the cellar. At least that's what I've discovered with my cellaring. Chris, stay tuned, I'll be going into more detail about the whys, whats, and other fundamentals in parts 2 & 3. Your input will be welcome and appreciated. I hope you and your family have a wonderful Christmas holiday.